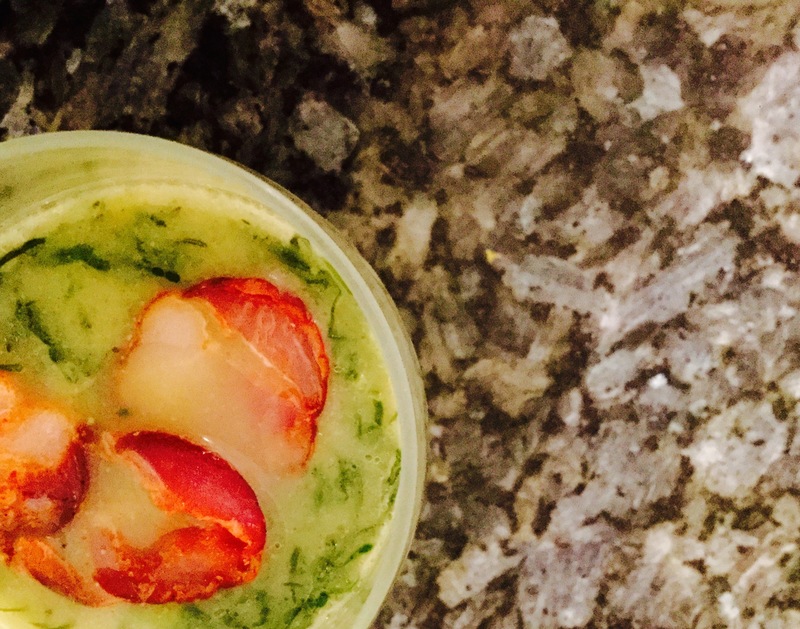 Caldo Verde is perhaps the most iconic of Portuguese soups. Originating from the north of the country, it has spread across Portugal and is traditionally served as a light first course to a grilled sardine feast. This recipe is a twist on the traditional and replaces potato with a mixture of cauliflower and avocado, making it healthier, low carb and absolutely delicious. The Caldo Verde identity relies not so much on the ingredients that provide sustenance and texture to the soup (traditionally potato) but rather on the extremely thinly of cutting green cabbage (couve galega) and the obligatory olive oil and chouriça. In the absence of the traditional couve galega, Caldo Verde can be made with very thinly sliced kale.